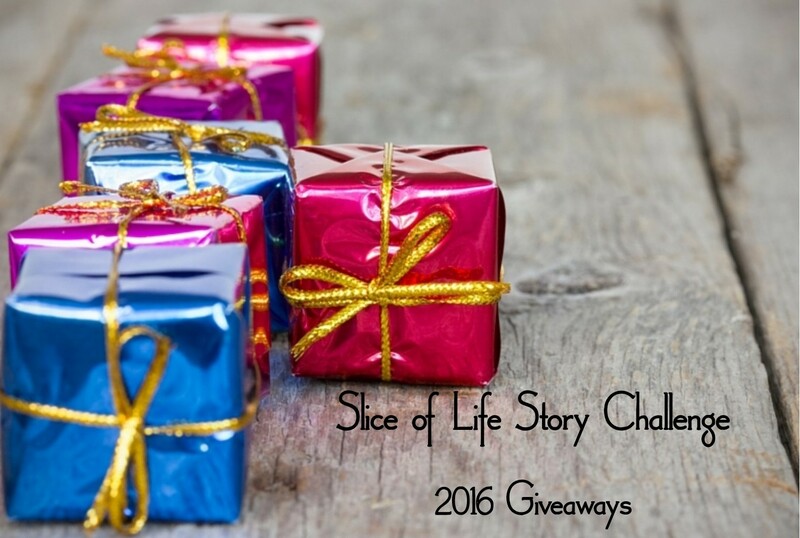 It is my pleasure to announce the 9th Annual Slice of Life Story Challenge prize winners. All participants who signed up for the challenge, completed the challenge faithfully, and signed our Participant Pledge were eligible for a prize. All winners were chosen using a random number generator. Winners will be contacted via email within the next ten days. Bloomsbury Publishing is donating three prize packs of Advance Reader Copies (ARCs) to three separate winners. 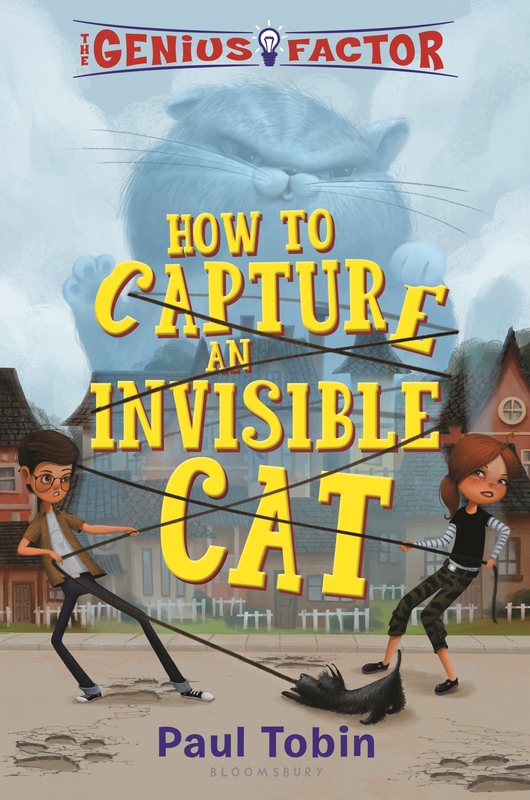 Each winner will receive an ARC of How to Capture an Invisible Cat by Paul Tobin (for middle grade readers), The Eureka Key by Sarah Thomson (for middle grade readers), Little Shaq Takes a Chance by Shaquille O’Neal (for early readers), and Rebel, Bully, Geek, Pariah by Erin Jade Lange (for young adult readers). The three winners are Krista Schmidt, Daywells, and Erin Baker. 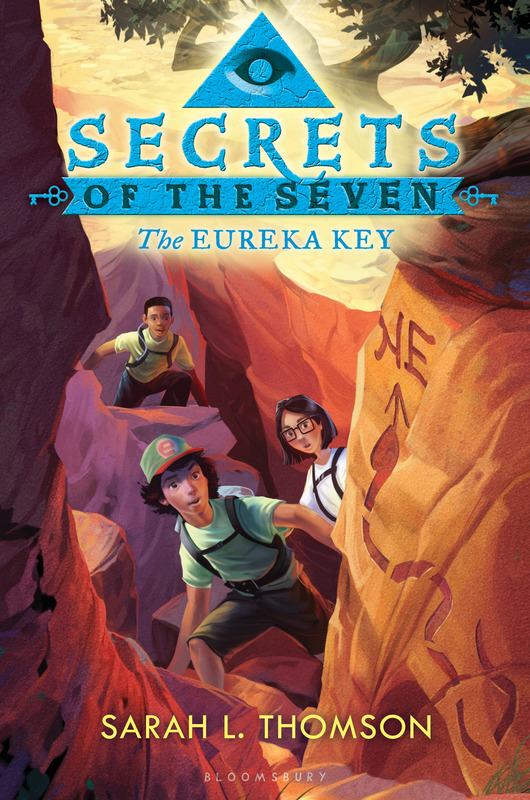 Candlewick Press is donating a set of books by Tricia Springstubb: Cody and the Mysteries of the Universe and Cody and the Fountain of Happiness, both of which publish in April. The winner is mbhmaine. Charlesbridge Publishing is donating a set of ten picture books from 2016 spring collection to one winner. 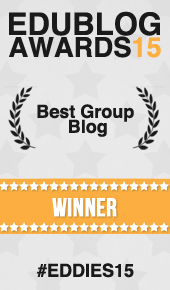 The winner is Lori who blogs at You Get What You Get. Chronicle Books is donating five prizes. Each winner will receive a book published by Chronicle Books, as well as a writing journal. The five winners are onathought, luuluu, Kathy Schuitema, Adrienne, and Brian. Cinco Punto Press is donating three titles: My Tata’s Remedies: Los remdios de mi tata by Roni Capin Rivera-Ashford, Playing for the Devil’s Fire by Phillippe Diederich, and Seeing Off the Johns by Rene S. Perez II. The three winners are cmargocs, Jennifer Laffin, and bjdonaldson. Harper Collins Publishers is donating a prize pack of three books to one winner. The winner will receive Pete the Cat’s Groovy Guide to Love by Kimberly & James Dean, Worm Loves Worm by T.J. Austrian, and Silly Wonderful You by Sherry Duskey Rinker. The winner is Michelle who blogs at Literacy Learning Zone. Heinemann is donating eleven subscriptions to their Digital Campus Reference Library to eleven winners. The twelve winners are Cook’s Book Nook, Michelle Li, mcteaguem, Erika Victor, Liz McKenna, Judy C., Peg D., kathywhite, Mandy Robek, cindaroo42, and kdiez. The Big Book of Details: 46 Moves for Teaching Writers to Elaborate by Rozlyn Linder The winner is ams4. The Unstoppable Writing Teacher: Real Strategies for the Real Classroom by M. Colleen Cruz The winner is sweatersandsharpies. Fearless Writing: Multigenre to Motivate and Inspire by Tom Romano The winner is Sonja Schulz. Write Beside Them: Risk, Voice, and Clarity in High School Writing by Penny Kittle The winner is cole19. Read Write Teach: Choice and Challenge in The Reading-Writing Workshop by Linda Rief The winner is beckymusician. The Teacher You Want to Be: Essays about Children, Learning, and Teaching edited by Matt Glover and Ellin Oliver Keene The winner is freegriffa. Lessons That Change Writers by Nancie Atwell The winner is Christine Baldiga. Writing with Mentors: How to Reach Every Writer in the Room Using Current, Engaging Mentor Texts by Allison Marchetti and Rebekah O’Dell The winner is Leigh Anne. Children Want to Write: Donald Graves and the Revolution in Children’s Writing edited by Thomas Newkirk and Penny Kittle The winner is Dana Huff. Writers ARE Readers: Flipping Reading Instruction into Writing Opportunites by Lester Laminack and Reba M. Wadsworth The winner is Carol Varsalona. Learning from Classmates: Using Students’ Writing as Mentor Texts by Lisa Eickholdt The winner is Barbara Suter. 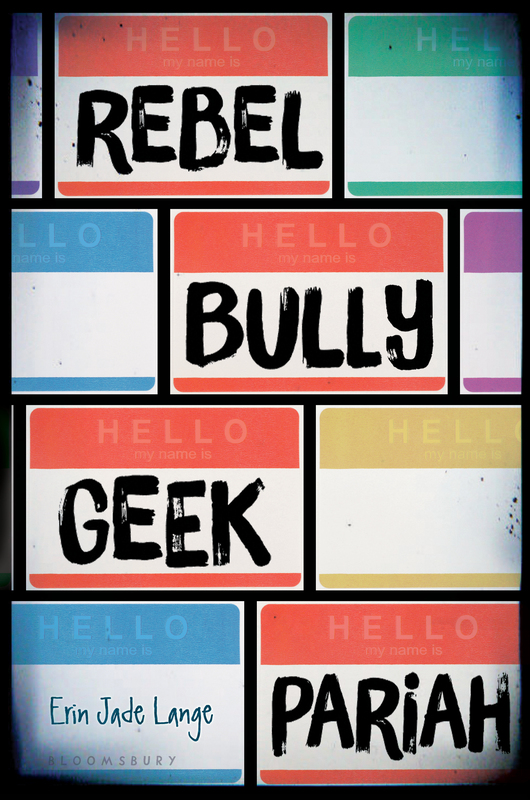 Classroom Management Matters: The Social–Emotional Learning Approach Children Deserve by Gianna Cassetta and Brook Sawyer The winner is Rachel6325. From Ideas to Words: Writing Strategies for English Language Learners by Tasha Tropp Laman The winner is Lisa who blogs at A Little of This, A Little of That. After THE END, Second Edition by Barry Lane The winner is Robin. Hidden Gems: Naming and Teaching from the Brilliance in Every Student’s Writing by Katherine Bomer The winner is Erin who blogs at Readwriteteachmakedinner. Self-Directed Writers: The Third Essential Element in the Writing Workshop by Leah Mermelstein The winner is Dalila Eckstein. What a Writer Needs, Second Edition by Ralph Fletcher The winner is Janie Fahey. Kids Can Press is donating two prize packs to two separate winners. Each winner will receive a pack of five Marianne Dubuc’s books. The titles are The Animal’s’ Ark, Mr. Postmouse’s Rounds, The Bus Ride, Animal Masquerade, and In Front of My House. The two winners are Lisa R. and Wendy who blogs at Falconer’s Library. 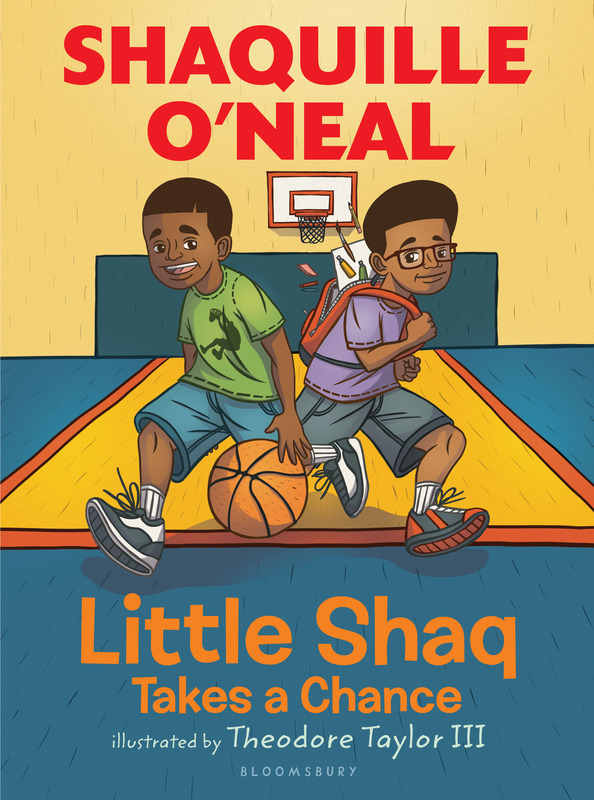 Little, Brown Books for Young Readers is donating two prize packages of books. One winner will receive a picture book package containing Pirate, Viking, & Scientist by Jared Chapman, Little Shop of Monsters by R.L. Stine, and Birdie’s First Day of School by Sujean Rim. The winner is Lynne Dorfman. The second winner will receive the following books: President of the Whole Sixth Grade by Sherri Winston, Woundabout by Lev Rosen and Ellis Rosen, Minna’s Patchwork Coat by Lauren A. Mills, Drift & Dagger by Kendall Kulper, The Young World by Chris Weitz, and Hello, Goodbye & Everything in Between by Jennifer E. Smith. The winner is Melanie Meehan. Macmillan Publishing is donated a Fierce Reads t-shirt along with a Fierce Reads tote bag to one winner. The winner is Carrie who blogs at CCahilldotcom. Penguin Publishing is donating five copies of The War that Saved My Life by Kimberly Brubaker Bradley to five separate winners. The five winners are Maribeth Batcho, berries781, Amelia1073, Kate Schwarz, and keitheduardo. Random House is donating a box of young adult titles to one winner. The winner is Joanne Toft. Responsive Classroom is donating three books to three winners. One winner will receive a copy of The Morning Meeting Book by Roxann Kriete and Carol Davis. Another winner will receive a copy of Energizers! by Susan Lattanzi Roser. The third winner will receive a copy of Interactive Modeling: A Powerful Technique for Teaching Children by Margaret Berry Wilson. The three winners are Amy (aruddteacher100), Anne Donnelly, and Vickiela. Simon & Schuster is donating ten tote bags filled with an assortment of young adult books to ten winners. The ten winners are mrssurridge, Amy who blogs at Runner, Reader, & Rockin’ Mom, Nina Anderson, aileenhower, Rose Cappelli, Cindy who blogs at The King Zoo and Funny Farm, Linda Baie, dogtrax, margaretsmn, and Bev Baird. Stenhouse Publishers is donating five separate prizes to five separate winners. Each winner will receive a book of their choosing from the Stenhouse catalog. Also, watch during our mid-month challenges to see even more prizes from Stenhouse Publishers. The five winners are Vanessaw2007, missmoyer, Ana who blogs at Mrs. Bentin’s Blackboard, macrush53, and Jodi Mahoney. Gail Boushey and Joan Moser, otherwise known as The 2 Sisters, are donating ten prizes. Five winners will receive a three-month online membership to The Daily Cafe, and five winners will receive a three-month membership to CCPensieve, an online classroom conferring program. The ten winners are Jennifer Kesler, shellymkeller, Fran who blogs at Resource-Full, Pamela Stegnik, Rita K., Melanie Roy, Lori Sheroan, bbutler627, Carrie Gelson, and Elisa Waingort. Author Rose Cappelli is donating a set of three professional books to one winner. The winner will receive Mentor Texts: Teaching Writing Through Children’s Literature K-6; Nonfiction Mentor Texts: Teaching Informational Writing Through Children’s Literature K-8, and Poetry Mentor Texts: Making Reading & Writing Connections K-8. All three books were written by Lynn Dorfman & Rose Cappelli. The winner is mackl. Clare Landrigan and Tammy Mulligan, authors of Assessment in Perspective, are donating two writer’s survival kits to two separate winners. Each kit consist of a Slice of Life journal, the book One Word, dark chocolate caramels, and a candle. The two winners are jennieb and Matt Ball. Amy Ludwig Vanderwater is donating a copy of her book Everyday Birds to one winner. The winner is Karen Szymusiak. Jennifer Serravallo is donating a signed copy of the winner’s choice of any of her published books. The winner is Kim K.
Author Alan J. Wright is donating a copy of his book Searching for Hen’s Teeth: Poetry from the Search Zone. The winner is Tracey who blogs at Walking the Dog. Linda Baie is donating a prize pack of books to one winner. The prize pack includes Bullying Hurts: Teaching Kindness Through Read Alouds and Guided Conversations by Lester Laminack and Reba M. Wadsworth, Notice & Note: Strategies for Close Reading by Kylene Beers and Robert E. Probst, and Real Revision by Kate Messner. The winner is Maya Woodall. Sally Donnelly is donating two journals to two separate winners. The two winners are Terje and djvichos. Glenda Funk is donating Start Where You Are: A Journal for Self-Exploration by Meera Lee Patel to one winner. The winner is neylonk. Pamela Hodges is donating five of her coloring books, Color The Cats – Forty Real Cats From Around The World and Their Stories, to five winners. The five winners are elsie, svalter, Elisabeth Ellington, C. Crouch, and Glenda Funk. We also had some mid-month challenges along the way. The prizes were donated by Stenhouse, The Highlights Foundation, and Princeton Architectural Press. The winners (previously announced) were terierool, booksandbassets, emily1103, and aileenhower. Once again, we would like to extend our gratitude to all of our generous sponsors. Your generosity is appreciated by all the members of this writing community. Hi, Barbara. Beth emailed you about your prize several days ago. Perhaps it went to your spam folder? She sent another email yesterday as well. Your contact information has been sent to the sponsor so hopefully your book will arrive soon. Please let me know if you don’t receive your prize within the next two weeks. Wow! Just checking this now. What a great collection of prizes! I’m excited to see what I think is my name. 🙂 either way, thanks for another great challenge and congrats to all the winners. Woohoo! What an awesome bonus to win a prize =) Congrats to everyone!! Thank you and congrats to everyone for slicing every day during March even when the internet connection was bad, or we were exhausted and sleep was beckoning us away from the computer screen. Now, back to slicing on Tuesdays! Congrats! to all the winners – knowing that we are all winners when writing with this great community! Thanks again to the Two Writing Teachers team for all their hard work! You are amazing people! Woo hoo!! Congrats to everyone who won…and thank you to all who donated prizes! Thanks so much! Really fun to win a prize after such a rewarding month of writing. Thank you to those individuals and organizations who donated–and for TWT for organizing! Hoorah! Thank you so much. As others said, it’s icing on the cake, the gravy on the mashed potatoes, and the smell on the rose. The challenge was its own reward, so to get present too is an unlooked for bounty. Thank you Two Writing Teachers. The professional development book is a side benefit of being involved in such an uplifting experience of writing alongside colleagues. How lovely! This is the cherry on top of the icing of the sweetest cupcake! Thank you! It’s the icing on the cake! A nice surprise to find on my ipad this am that I won a prize. When you do something for the love of it, and then get rewarded..then all the stars are in alignment and the heavens sing! Thanks to TWT for the great month of March, to all the sponsors who donated prizes and to all the slicers. Thanks for the wonderful prize! Congrats to all! Wonderful challenge, glad to have been a part of it in a small way. Thank you so much for organizing all this! I hadn’t really paid attention to the prizes – what an amazing collection and offering! Thank you for the opportunity and I’m so excited to explore Heinneman’s Digital Library. I gained so much from doing the Challenge–this is just the icing on the cake! Thank you so much and congratulations to all! Thank you to all the sponsors who donated prizes. I am grateful for this surprise. I’m thrilled to have won a prize. Thanks for all the work involved in putting the prizes together! And my prize is ready to send too. Yay! Yay! Yay! I’m so excited to be on the list. One more job well done by the team at TWT. You all just keep getting better. It was fun to notice all the names of winners, as well as remember how many generous donors there are who support teachers who want to improve their craft. Thanks so much! This is so exciting and a delightful plus on top of the rewards from a month of daily writing. Again, a huge thank you for all the hard work involved throughout this enormous project! What an amazing array of fabulous prizes. Thank you for hosting and for giving so much to this community. Thanks as well for the prize i won. Can’t wait to read the books! I feel humbled to be participating with this reflective and insightful group of teachers and writers. Thank you so much sponsors, supporters and creators of this challenge and writing blog. You make a difference in the lives of so many people! This is so exciting! I loved seeing so many familiar names as I scrolled, and was thrilled to see that the joy and learning continues with books of all kinds! Thank you for all of the wonderful ways that TWT has helped me grow and connect as a writer and teacher. And, thank you for the book gift. I can’t wait to dive in! Oh how exciting! I admit to a loud squeal of excitement when I saw my name. Thank you to all who made the donations of prizes and the team at Two Writing Teachers for hosting! Thank you to Beth, Dana, and Deb for curating such an amazing list of prizes. And thank you to all of the companies for your generosity. While the true reward is becoming part of a writing community, having prizes sweetens the month. A special thanks to you, Dana, for dotting all of the i’s and crossing the t’s on this post. I know how much work it is to do this. I appreciate it, as I know all of those who won a prize do! So many prizes and so many winners! Thank you for your dedication and hard work to make this a wonderful experience for me and so many others! Wowie kazowie! I was browsing the list and totally surprised to come upon my own name! Thank you so such for gathering these awesome prizes and supporting all of us on our writing journey. I was thrilled to see so many names I recognized on the list of “winners” too- including some of the newby slicers on my welcome wagon list. Next year I promise to donate a prize. This is so much fun. Thanks for the awesome announcement Dana! The amount of donations and winners is impressive and such hard work by the organizers of SOL. Even though I don’t participate (think about it though), I do enjoy reading some and learning so much. Congratulations to all of you who are simply amazing teachers and writers and leaders in education and literacy.